I realize I’m a bit late to the party here (what else is new? ), but I just have to put up a post about this. 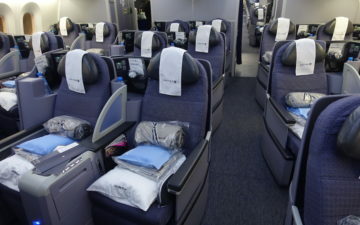 So yesterday United announced orders for 25 Airbus 350s and 25 Boeing 787s. First of all, I’m kind of happy about this. 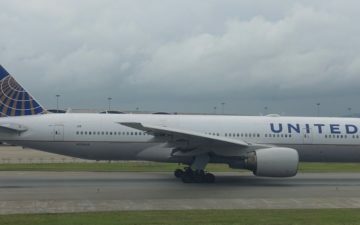 It was so sad to see United, the launch customer of the 777, continuing to fly an aging fleet with no plans for renewal. On the other hand I can’t totally blame them given the economic environment. Anyway, in general the two different aircraft types makes quite a bit of sense. They can potentially serve different markets, with the A350 replacing the 777s while the B787s replace the 767s. Furthermore, United is avoiding putting all their “eggs in one basket,” since neither plane has taken flight yet, so who knows what kind of delays we’ll see. It seems like the aircraft manfucaturers are running on-time records that compete with the airlines nowadays. Nonetheless I’m sticking to my merger guns. I’d be shocked if the A350 order wasn’t cancelled as soon as the Continental merger is announced (gosh, do I sound like a conspiracy theorist or what?). 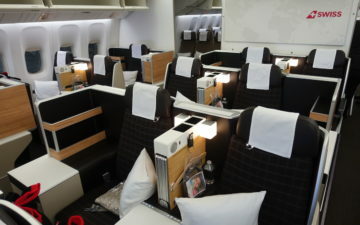 Ben – the A350 is replacing both 747 *and* 777, with 747s going first. 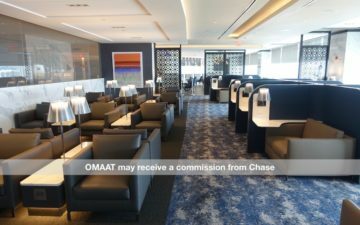 @ptahcha – apparently, based on the number ordered, UA is only committing to replacing the 747s with the A350 at this point, with the replacement for the 777s still undetermined – Cranky Flier (posting on bnet) is speculating that United wants to downsize the 747 routes but wants to replace the 777s with a plane of the same capacity, and wants to see if Boeing offers a 787 variant that’d fit the bill sometime soon. As much as Lucky thinks a UA-CO merger is likely, I can’t help but think this announcement could be a signal that while CO wants a strong alliance partnership with UA, they’re telling UA they have no interest in merging…and the Airbii would be just fine with US…. I know Lucky is a firm believer of a merger between CO and UA. As much I like to see it to happen, I don’t think it is realistic in the next 2 or 3 years, if ever. Looking at the major creditors and shareholders of UAL, I am not surprised CO has concerns. Any merger will involve financing to keep these institution investors happy, and they are not easy to deal with. Unlike the NW-DL merger, it was before the financial crsis. Those financing DL-NW won’t be available for a few more years pending on the recovery. Also, in a merger, CO will likely to be an accounting acquirer, and need to issue shares to existing UA shareholders and possibly the creditors has well. Why would CO want to bring on these financial institution to its shareholder roster and into their boardroom? It is a scary thought for the CO board and management. Unless there is a compelling reason due to market and competition, there is really no reason for CO to initiate this move. I like Lucky’s conviction on this matter, but CO does not like the risk factors.